Use this Cinnamon Roll Recipe to making your own cinnamon rolls at home. It isn't difficult. It does take some time but, oh, it is so worth it! Betcha can't eat just one! These are really wonderful! The dough can be mixed and the rolls filled and shaped the night before you want them. Just put the rolls in the refrigerator. In the morning, put them in the oven and in a short period of time your kitchen will be filled with the aroma of freshly baked cinnamon rolls! 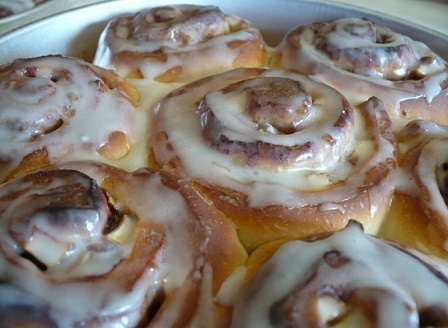 Enjoy your Cinnamon Roll Recipe and the company of those you share it with! Did you know? 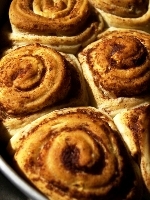 The cinnamon roll may have originated In Sweden. 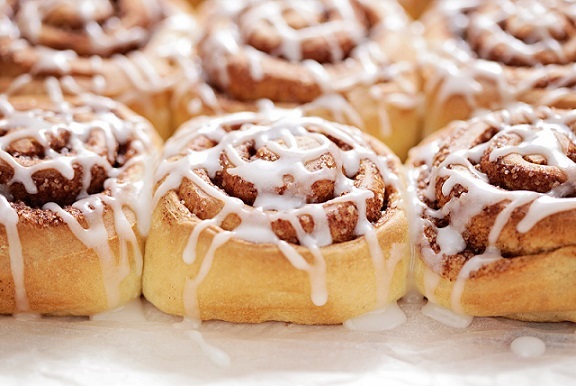 In Sweden the cinnamon roll is called kanelbulle (literally: "cinnamon bun"). "Yes, you smell the cinnamon rolls. I’d offer you one, but they’re all gone. No, the kids and hubby are not home.